GUEST BLOGGER || Tips to Bring a Living Room to Life! The living room is one of the most important rooms in your house. It is where you can relax, watch TV, and lie down after a long day. Living rooms are used all the time by various members of the family, so it is really important that you spend time making it as pleasant as possible. It is really easy to style your living room according to TLC in order to spruce it up a bit and in this article we are going to give you some great design ideas in order to help you create the perfect living room that you have been dreaming about. Art does not have to be expensive, however many people are put off buying pieces of art because they don’t think that they can afford it. Whichever way you look at it, art looks brilliant on your walls – so why don’t you start looking for cheaper options if your budget is low? Art is whatever you want it to be – and this could be a painting that has been done by your child, or a blown up family photograph of you all that has been beautifully framed. If there is a painting that you really like but you can’t afford, then ask the artist whether or not it would be possible to buy a print of it instead. This will be significantly cheaper. Some people even use word art or quotations on their walls – get creative as there are many different options when it comes to more decorations. Black and white prints are so affordable and truly pull this room together. Mixing of photography and prints! 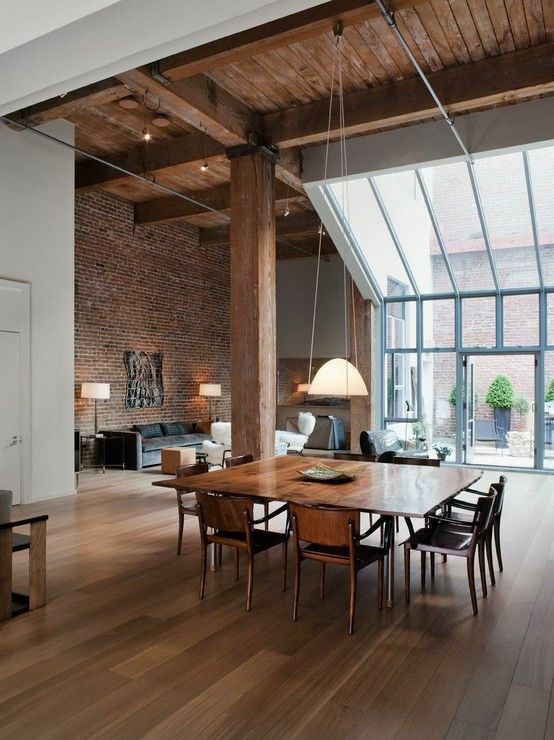 The type of lighting that you have in your living room can dramatically alter its feel. Having main lights on dimmer switches is a brilliant idea because it offers you the opportunity to turn the lights down in order to create a softer and calmer ambience. Up lighting is very effective because it doesn’t make you feel like you are in a spotlight – and it also looks very stylish. A standard lamp in a corner can look very elegant indeed, and a smaller lamp on a table can provide a cozy light in which to read a book in your favorite armchair. Your keyword for designing any living room should be ‘comfort’. What would make your living room more comfortable? Perhaps it is time that you updated your three-piece suite, or maybe it is about time that you had the carpet replaced? Sometimes, simply updating your curtains is enough to give your living room a fresh new feel. Add some finishing touches by getting some beautiful pot plants and putting them on display. Minimize the amount of clutter in your living room by making sure there is plenty of furniture with inbuilt storage such as a console table and a TV unit. 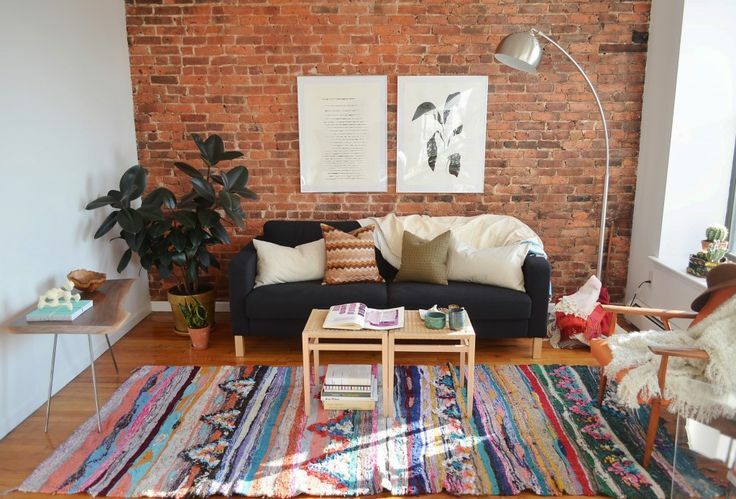 Statement rug and plants! All you need to warm up a space! Breathing new life into your living room is easier than you think – and it needn’t cost too much money either. What could you do to inject a little style into your living room? Leslie Kramer, the author of this post, is a freelance blogger, who is currently writing for Alliance Fllor Source, one of the leading names in flooring industry. Leslie is a big time movie-buff and uses blogging a platform to share home improvement and green living tips. these are all great tips and beautiful images for inspiration! 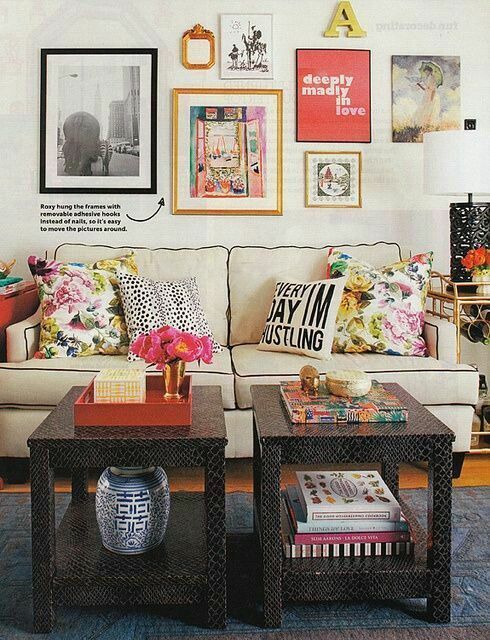 i love the tips about the art- i’ve been wondering how to best decorate my walls without anything too pricey! also- just discovered this website, and i love it! such a cute little shop… great aesthetic.